You’ve heard how marketing automation will take your customer management, marketing campaigns, and eCommerce options to the highest level of streamlined success. You’re ready to apply the latest digital marketing strategies to your business. You’re looking for a team to partner with to help you achieve your goals and boost your bottom line by working smarter, not harder. Clever Automation is ready to implement powerful marketing strategies and solutions into your business. Then Schedule Your Free Consultation Today. Are You Ready to Market Smarter? Brilliant! Simply fill in the form below and click next..
You can be certain that we will grasp your business objectives and we will execute with perfection. You give us your needs and we will give you an estimate on time, cost and value. You and your business are our top priority and we will proactively communicate with you every step of the way. You need a team that can think as fast as your business moves. We love to do just that. You may have complex business needs, but don’t worry… we have elegant answers. Finding the right marketing automation team that you can build a relationship with for the long term is a difficult task. Here are some reasons why you should choose us. Unlike the other guys, we only work with a few awesome clients at a time, so you can expect a customized, efficient and effective experience with us. 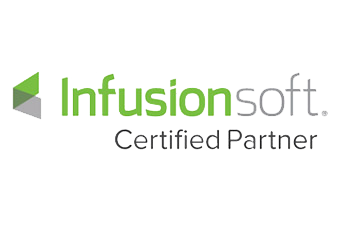 We are committed to learning, testing and implementing the top progressions in marketing automation so that your campaigns are always at peak performance. If you’re looking to save time and money while growing your business, then you’ve come to the right place. Have a project that's just dying to be launched? Contact us today – claim your 100% free online consultation – and let’s get going! From the start, Clever Automation was like a breath of fresh air. Not only did Raven follow through on what she said she was going to do, she did it with lightening speed and acute attention to detail. Quit “considering” Clever Automation and HIRE THEM! Clever Automation is a true EXPERT when it comes to this industry. Raven clearly explained every step of the way and kept me motivated to keep pushing forward to reach my goals and most importantly set me up in a way that I now can reach my financial goals like never before. Bringing innovative ideas from the strategy perspective as well as speed and efficiency on a tactical development level…Clever Automation is a real A player. Attention to detail, tech knowledge and communication skills are Clever Automation’s strong suits. We’re already in discussions to work together on additional projects. I would recommend Clever Automation to every established business owner looking to turn over the marketing automation duties in their business so they can save time and grow sales! 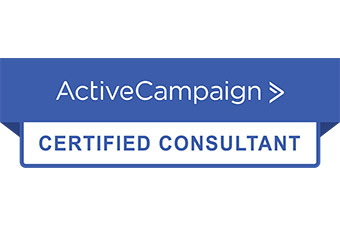 Clever Automation has helped us build out automated campaigns for multiple locations and consistently strives to deliver easy-to-understand, yet technically comprehensive solutions. After Clever Automation accessed my goals, we had our first campaign build out meeting and within an hour they had outlined the entire campaign. Lets create a digital marketing plan of attack that prioritizes your need for more traffic, more leads, more sales, more repeat buyers, more EVERYTHING. Sell more and scale faster with an integrated shopping experience that will wow your buyers with a variety of industry-leading marketing and conversion tools. Collect key details about your leads and organize your contacts to save hours of work. Plus personalize your email marketing with powerful automations that talk to your customers just like you would, when you would. Create customized member experiences for your customers, students, staff and others – all integrated with your platform of choice. We’ll connect your various software solutions to create a more streamlined experience for your leads, buyers and internal team. If you want to learn how to ‘Attract. Nurture. Convert.’, then we can help. We’ll work with you and your team to build up your company’s digital marketing super powers. 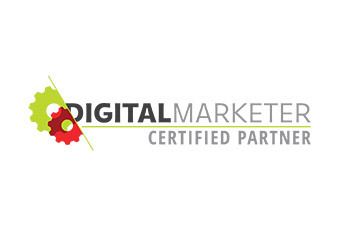 Digital Marketer is the premier online community for digital marketing professionals. Marketing, sales, email and CRM automation that’s powerful and easy to use. Wicked Reports transforms sales and marketing data into answers and actions. Yahoo! You’ve made a smart decision to streamline your success by applying the latest digital marketing strategies to your business. To get started click here to schedule a FREE consultation. On our first call, we’ll go over the things you know you need, unearth any additional items and get clear on timelines. Once we’ve agreed on the process to completion, Raven Kleinbach will flesh out the project in our shared project management system. She’ll utilized her 9 years of marketing experience to ensure that not only are we achieving the automation objective but that we’re optimized for results. Clever Automation will exceed your expectations by methodically progressing through your project with utmost efficiency. And before we go live, we will add in analytical reports to track ROI and test the entire process from A to Z to be certain all aspects of your project are understood, functional and ready. This is where your business reaps the rewards of the project you entrusted to us. Cheers! If you’re ready to streamline your success by applying the latest digital marketing strategies to your business, click here to schedule a FREE consultation. For all other inquires, please complete the form below and we’ll get to you when we can! Thanks! © 2009-19 Virtual Raven Business Solutions. All Rights Reserved.